Another lovely McCoy trivet -- this one has an owl on front! 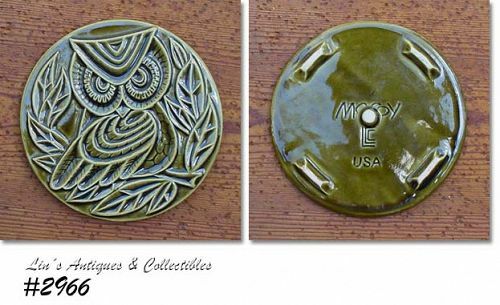 Trivet has super detail and is in a pretty green color with shiny glaze. Measures 6” diameter, marked on back: McCoy, Lancaster Colony (mark), USA.